A smart, safe and effective solution for helping your congested baby sleep through the night. The snot can easily be sucked out from their little noses in no time, which can let your baby breathe more smoothly. 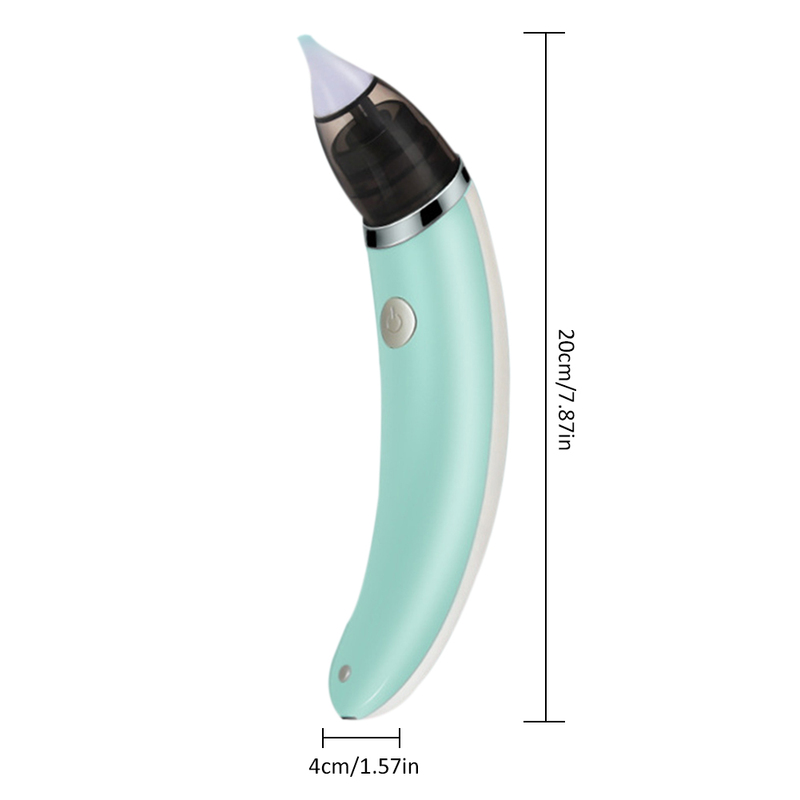 The Nasal Aspirator has a streamlined design, which lets you use it more comfortably in one hand. What's more, there's no need for a battery switch, as it can be recharged by USB when the power is low. The portable size is also easy for parents to carry and use, allowing you to take care of your baby anytime and anywhere. The Nasal Aspirator offers two differently sizes of exchangeable nozzles, made of soft BPA free silicone, so it will always fit in your baby's nose comfortably. It will not harm your baby’s nasal cavity when using. We have zero tolerance for any harm to toddlers/babies. Choose an appropriate nose tip. After assembly, turn on the power button and choose a comfortable strength, then you can use. Before using in baby’s nose, it’s better to use it on your arm to get familiar with the mode and music settings, and feel the strength of suction, so as not to scare your baby or hurt your baby. Keep the main body away from water. For the safety of your baby’s nose and health, please clean and disinfect it promptly after use. Please clean the device with proper detergent. Tear down the removable compartment and sterilize with boiled water or steam, but not in the microwave. Please clean the device with dry and soft clothes after sterilization. Do not expose to direct sunshine and damp areas. Do not use erosive chemicals to clean the device. You can buy safe with confidence by knowing that Unique Age is a Google Trusted Store and offers a 100% delivery guarantee or your money back.